The tea leaf salad is probably the most popular of all Burmese dishes and it’s easy to see why. The shredded cabbage and tomato add freshness while the savory fried garlic, peas, sesame seeds, and peanuts create texture and balance. The star of the dish is the fermented tea leaves which add a delicious tang of flavor only usually found in Burmese cuisine. Authentic Fish and Sour Leaf Soup always reminds Burmese transplants of home. Chin Baung Hin Yay (Fish and Sour Leaf Soup) is a tangy soup served with chunks of basa fish, sour leaf, and bamboo shoots in a savory fish broth. Balangchuang is a universal staple in every Burmese household. Move over Tea Leaf Salad, the Burmese Kitchen has a new original dish that is soon to be a classic. What Chef Dennis has named Pal Kyak Thok or Crispy Fried Pea Salad is an unique blend of classic Burmese Flavors. Burmese Kitchen’s Ong Noh Kau Swel (Coconut Chicken Soup) is true Burmese soul food. 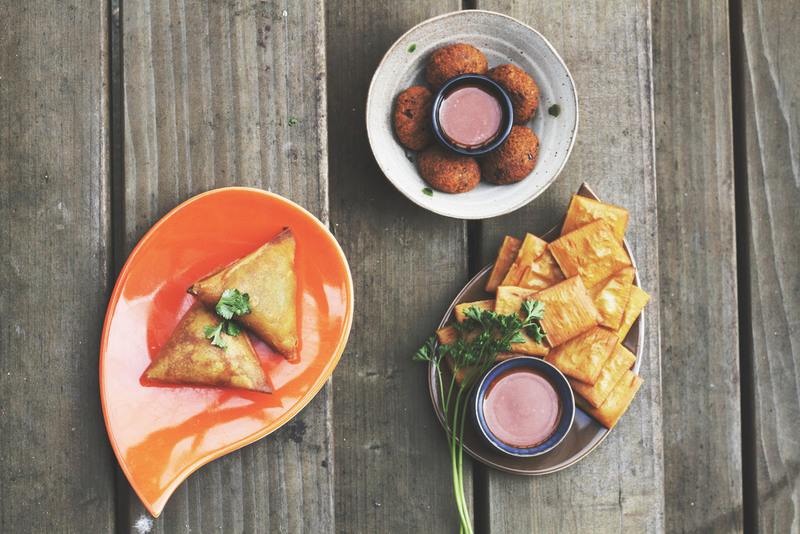 Get your fix of Burmese classics like Tea Leaf Salad and Fish and Sour Leaf soup on Sat. and Sun. from 11:30a - 3p! When Burmese Kitchen closed its doors last fall due to "landlord problems," the Lin family was optimistic that they would bounce back as soon as possible, maybe even in a new neighborhood. Now, it looks like Burmese Kitchen truly will live to serve another tea leaf salad. Fermented tea leaf, shredded cabbage, fried garlic, sesame seeds, tomato, assorted peas & peanuts, sunflower seeds. Homestyle with extra fermented tea leaf, fried garlic, sesame seeds, shredded cabbage, tomato, peas & peanuts, sunflower seeds. Rice noodle (or w/o), fish, lemongrass, garlic & shallots, fried split peas, and hard boil egg. Egg noodle (or w/o), diced chicken in coconut broth, fried split peas, and hard boil egg. Egg Noodle, shredded cabbage, onion & cucumbers with house special sauce. Rice noodle, shredded cabbage, onion & fresh lime with a diced hard boil egg. Choice of chicken or veggie only. Boneless chicken with diced potatoes in a creamy curry sauce. Boneless chicken with yellow split peas in a creamy curry sauce. Boneless chicken with turmeric, lemongrass, minced garlic, bell pepper, & onion in a light savory broth. Bone in chicken leg cook with coconut milk and onion curry. 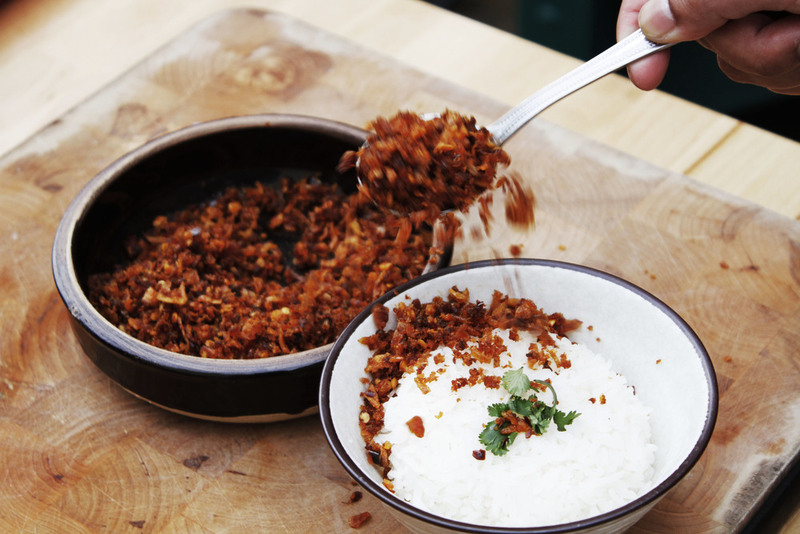 Ground dried shrimp paste, chili flake, fried shallots. Stir-fried bamboo with onion & jalapeño. Potatoes cooked with curry spices and bay leaves. Boiled eggs with onion-based tamarind sauce. Stir fried string beans with onion. Stir-fried okra w/ onion & Jalapeno. Pumpkin, radish, eggplant, carrot, potatoes, bamboo shoot, okra. Sourleaf, bamboo shoots, okra & jalapeno. Stir-fried white mushroom, sliced onion, home-style fermented tealeaf. Stir-fried lotus roots, bell pepper, onion in chili oil. Delivery Fee of $25 (up to 4 miles radius). All portions listed come in a half-sized deep tray (serves approx. 15 people). Please see main menu for ingredients. Please reserve a table at least 3 hours ahead, so that we have time to make arrangements for you. Please write the time you would like to reserve. For example, 7:30PM or 8:00PM. Thank you! Your reservation has been confirmed. Please let us know ahead if there are any changes. See you soon!